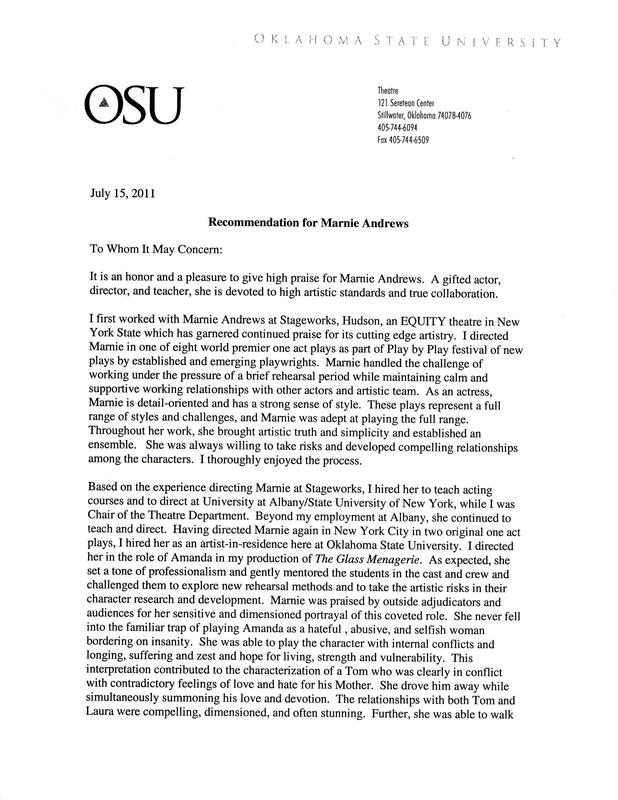 …it came up that I had hired Marnie to teach at UAlbany and that we had worked together on a production she directed and I designed. The lead (an Equity actor in a production she designed,) immediately began to tell me at length about how wonderful Marnie Andrews is, and how terrific and generous she is as a member of any cast or show. 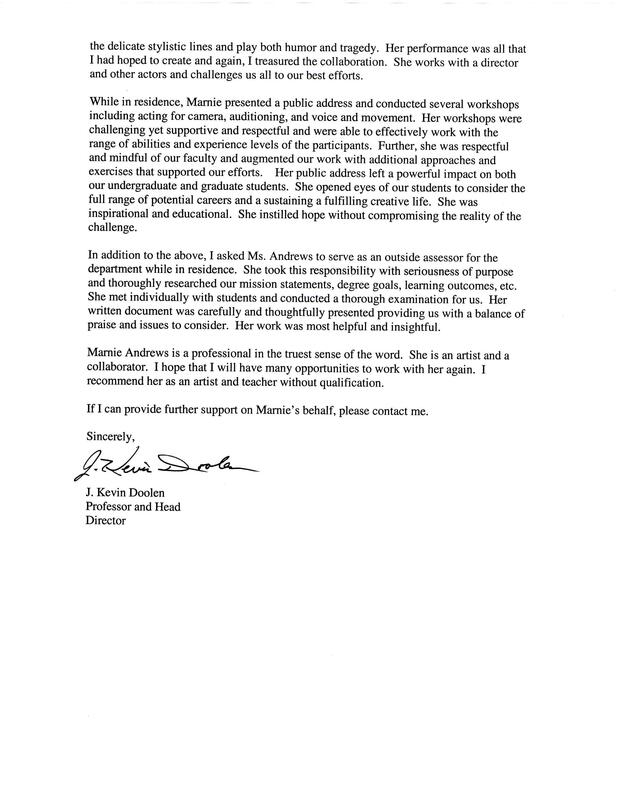 This was a completely unsolicited and glowing endorsement from a fellow acting professional and I offer it as one small example of Marnie’s ability to command the appreciation and respect of everyone wth whom she comes into contact.- Andi Lyons, Professional Designer. Head of Theatre, University at Albany.